Dr. Frank Pleus, MD, DDS, OMFS is a Swiss physician has earned degrees in dentistry and medicine. His training in integrative medicine took place in Switzerland, followed by dental education in Germany and Switzerland; medical education in Germany, Sweden, and Switzerland; and oral and maxillofacial surgery training in Germany and Switzerland. As part of his education, Dr. Pleus trained as a general practitioner in internal and family medicine, gastroenterology, medical psychology, neuraltherapy, orthomolecular medicine, phytotherapy and naturopathic treatments. He is the author of many doctoral papers on dentistry and medicine. Dr. Pleus has been one of the key academic lecturers on bioregulatory medicine for the Bioregulatory Medicine Network at the Marion Institute in Marion, Massachusetts. For more than a decade, he has introduced the core precepts and practices of bioregulatory medicine at the annual spring meetings of the Network. Doctors, dentists, naturopaths, and lay attendees have learned about bioregulatory medicine and its healing methodologies as well as approaches in personalized medical practice that can further restore the body and prevent illness. Dr. Pleus’s very unique medical practice, Concièrge Medical Services Switzerland, offers personalized integrative medicine and dentistry, health case management, prevention, and rehabilitation. Dr. Pleus’s concept emphasizes truly spending time with patients, listening to their histories, and looking at interactions among various genetic, environmental, and lifestyle factors that can influence long-term health, heal chronic-multiplex diseases, and create awareness for preventative behavior. As a European integrative medicine practitioner, Dr. Pleus firmly believes that maintaining health and healing means integrating all levels of human existence. Over half of the world’s population is afflicted with some form of chronic or degenerative illness. Heart disease, autoimmune disease, diabetes, neurological conditions, cancer, Lyme disease—the list goes on. The conventional, allopathic, treat-the-symptom-with-pharmaceutical-drugs model is rapidly falling out of favor as patients are searching for nontoxic, advanced prevention and healing modalities that actually work. Bioregulatory Medicine introduces a model that has proven effective for decades in other more forward-thinking developed countries, including Switzerland and Germany. Our bodies have many bioregulating systems, including the cardiovascular, digestive, neurological, respiratory, endocrine, and so on. 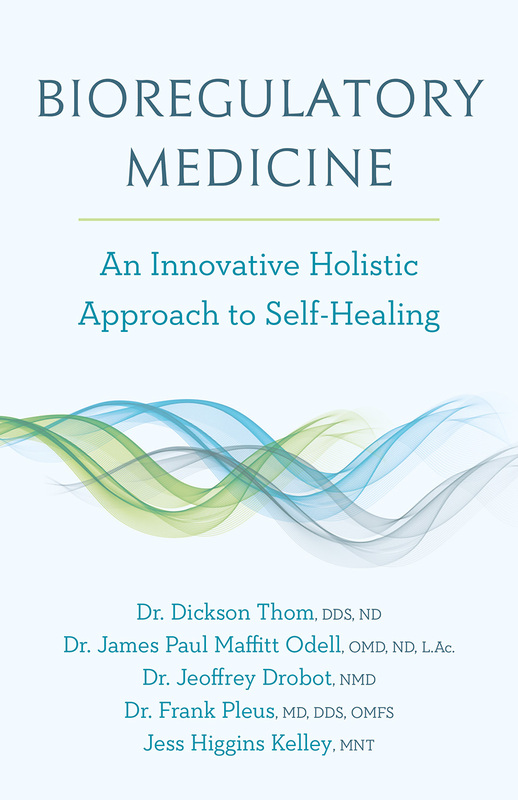 Bioregulatory medicine is a comprehensive and holistic approach to health that advocates the use of natural healing methods to support and restore the body’s intrinsic self-regulating and self-healing mechanisms, as opposed to simply treating symptoms with integrative therapies. Bioregulatory medicine is about discovering the root cause of disease and takes into account the entire person from a genetic, epigenetic, metabolic, energetic, and emotional point of view. So while patients may have the same disease or prognosis, the manifestation of illness is entirely bioindividual and must be treated and prevented on an individual level. Bioregulatory Medicine addresses the four pillars of health—drainage and detox, diet, mind-body medicine, and oral health—using a sophisticated synthesis of the very best natural medicine with modern advances in technology. In addition to identifying the cause of disease, bioregulatory medicine promotes disease prevention and early intervention of illness through noninvasive diagnostics and treatments, and incorporates the use of over 100 different non-toxic diagnostics and treatments from around the world. 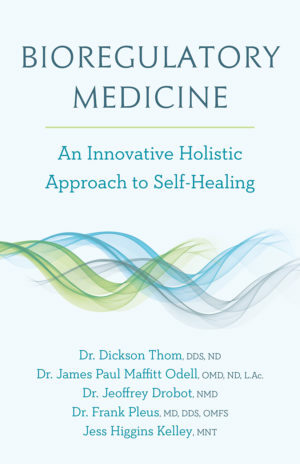 Forward-thinking patients and integrative practitioners will find Bioregulatory Medicine invaluable as they seek to deepen their understanding of the body’s many regulating systems and innate ability to heal itself.